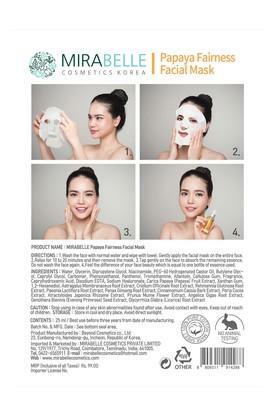 For dry, damaged and dull skin try using Papaya Fairness facial mask from Mirabelle. 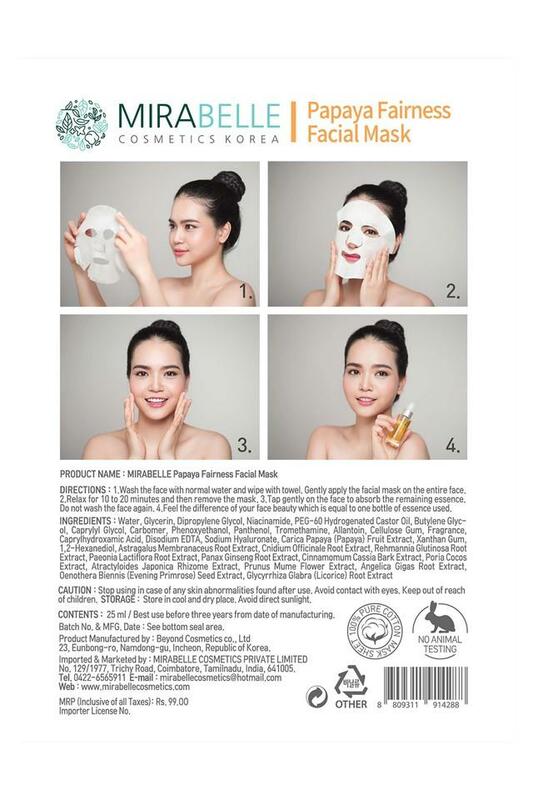 Contains various extracts of Papaya, Evening Primrose seed, Paenia Lactiflora root, Ginseng root and others. Has lots of vitamins that enhances skin elasticity and provides moisture. This Papaya Fairness facial face mask gives you gorgeous skin and works best for dry, damaged and dull skin.